표지에 ‘청송서(聽松書)’라고 쓰여진 이 『성수침 필적(成守琛 筆蹟)』은 16세기 학자 청송(聽松) 성수침(成守琛, 1493~1564)이 당나라 가도(賈島), 두목(杜牧), 이상은(李商隱)과 송나라 구양수(歐陽脩)의 칠언시를 쓴 것이다. 종이 바탕을 줄[行]에 따라 잘라 첩장하였다. 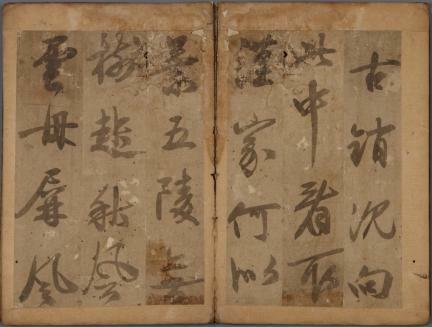 송명흠(宋明欽, 1705~1768)후손의 기증품으로 송명흠의 아버지 송요좌(宋堯佐, 1678~1723)의 [청은당(淸隱堂)]이란 인영(印影)이 있다. 성수침은 이황과 함께 16세기를 대표하는 도학자 명필로 필적은 드문 편이다. 현재 그의 소자(小字)는 몇몇 전하고 있는 상황이고 대자(大字)는 목판밖에 전하지 않는다. 이처럼 큰 글자로 쓴 작품이 현존하는 것은 매우 드문 예이며 담묵(淡墨)을 즐겼던 그의 특징이 또한 잘 나타나 있다. 서예사적으로 매우 가치가 높은 것으로 평가된다. 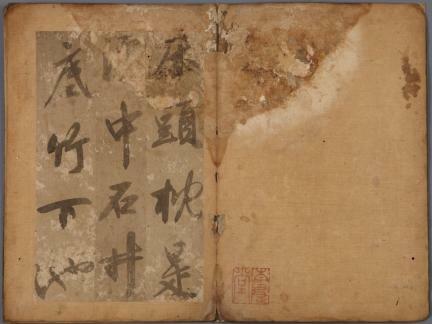 This album of poems whose cover page displays the title Cheongsongseo (Calligraphies by Cheongsong) contains seven-word poems by Tang poets Jia Dao, Du Mu and Li Shangyin and the Song-dynasty poet Ouyan Xiu, written in the hand of Seong Su-chim (1493-1564, penname: Cheongsong), a 16th-century Joseon scholar. The album is made by cutting the calligraphies line by line and gluing the cut-out strips on the pages of the bound sheets. 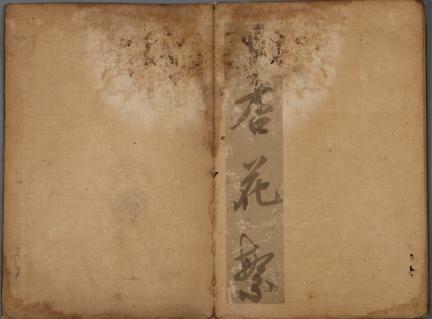 This calligraphy album, donated by a descendant of Song Myeong-heum (1705-1768), bears the seal of the latter’s father, Song Yo-jwa (1678-1723) that reads “Cheongeundang.” Seong Su-chim was one of the two most prominent Daoist calligraphers of the 16th century, along with Yi Hwang, but extant works of his are very few in numbers. A handful of small-character calligraphies have survived to the present, but no large character ones, except in the form of printing blocks. 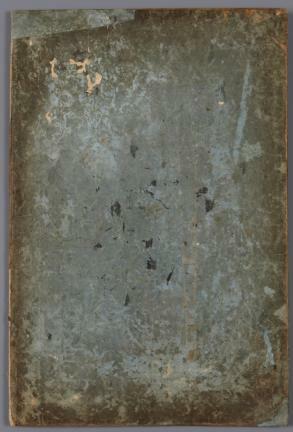 This album containing his calligraphies in large characters, therefore, constitutes an extreme rarity. These calligraphies, furthermore, are demonstrative examples of Seong Su-chim’s fondness of light ink. 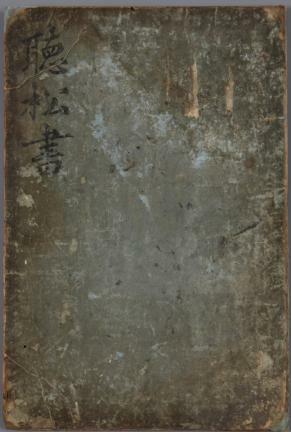 The calligraphy album is considered to hold a tremendous significance for the understanding of the history of Joseon calligraphy.